Our Carbon Series Cooler is the nicest looking cooler on the market today! Our 24 pack carbon cooler is changing the way people look at coolers. For the customer who wants the nicest, highest quality cooler, this is it. 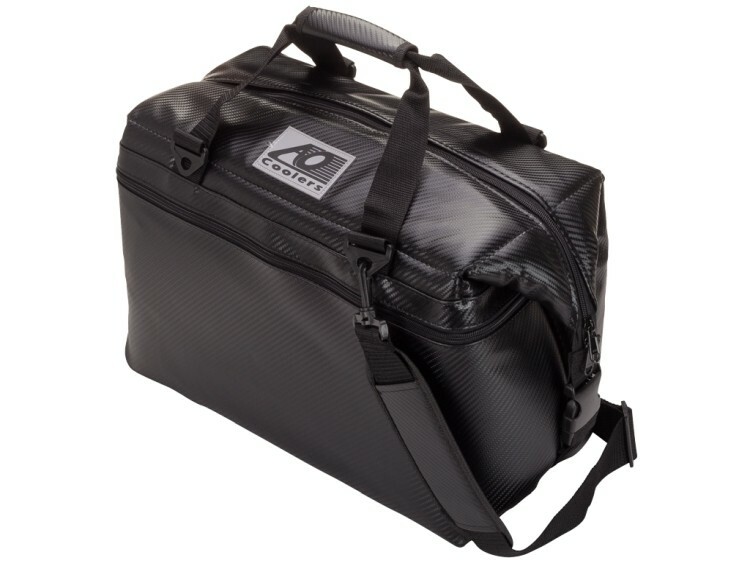 Our woven carbon material makes our cooler look like a high end designer bag. If your customer wants a new look, this is it. Holds 24 cans and 14 lbs of ice. These coolers are built to leave a lasting impression. 17" x 10" x 12"
Embroidery and Screen Printing available. Send in artwork for an accurate quote.